Hey everyone! Welcome to this stop on the mystery blog hop! I enjoyed working on my cards for this issue because I was free to create with my favorite style in mind! Not that I don't love a good challenge, but sometimes it's awesome to just sit down and create whatever comes naturally! In honor of the release of this issue, Paper Crafts is giving away an amazing prize package! 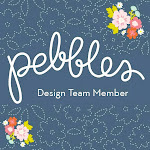 You can go to the Paper Crafts connection blog or the Moxie Fab World blogs to see the prizes! Each blog will show a portion of the prize package which is valued over $350. Before you continue on the blog hop, leave a comment telling me about the CUTEST thing you've seen or done this week. By leaving a comment here, your name will be entered in the drawing one time. You can have up to 20 chances to win by leaving comments on all 18 mystery blogs in the hop plus a comment both in the Moxie Fab World and on the Paper Crafts Connection blog. 3 winners will be chosen. All comments must be received by midnight (MDT) on Sunday, July 20. The three winners will be announced both on the Paper Crafts Connection Blog and on Moxie Fab World on Tuesday, July 20. Are you ready for even more inspiration? Are you ready for more opportunities to enter the giveaway? To go to the blog of the next Card Style mystery blogger, click the button below! Have fun! Love the happy colors and those sweet roboty monster thingies, hee! Fun and cute for SURE! This is my favorite syle too! The cutest thing I did this week was snuggle with my little guy and sing songs:) Great card! This robot card is TOO CUTE! Fun and cute is delightful. The cutest thing I have seen or done-picture of my two year old nephew with pipe cleaner glasses on. Cute card. What a cute card! Love the bright colors and robots! Besides the adorable cards I've seen all week, the cutest thing I saw was a sweet little doe and her brand new babies in my yard. They were so cute together! the cutest thing I've seen this week was a puppet show my kids did for me! Cutest thing, huh? Well, yesterday we went out for lunch and I saw a little baby girl sitting at an adjacent table, and she had on one of those headband thingies with a little flower on it. Not much hair herself, but adorable to the max. Having had 2 sons, I just melted! My daughter woke up on her 5th birthday and the first words out of her mouth were, "Mom, I feel a little different today. I think its because I'm five". I guess it's a bit cute (it's at least funny) that when I got out of the shower today I caught my three-year-old with a torch and her head down the vent of our ducted heating (it wasn't on!) singing "Zippity Do Dah"
The cutest thing I've seen so far this week is the green guy on your card - EeeEeeeEeEEeee!!!! For some reason it reminds me of one of the ghosts from Pac-Man!!!!! LOVE IT! cutest thing i've seen today: my 4 yr old curled up in bed beside me, holy cute surprise, batman! I got to see the proofs of our son's engagement pictures. They turned out so cute, you could tell they had a fun time taking them. He's 6'8" & she's 5'5", so they have some creative poses taken to make them seem the same size!!! Cutest thing? My 17 month daughter running naked in the house.It's so hot here at the moment. Cutest thing? Your card, of course! What's not to love about robots? From my own life it would be my little boy. He's just starting to talk and the way he words things is just so darned cute!!!!!!!! definitely my daughters wearing warm, fuzzy boots when it is 90 degrees outside. totally adorable. Was making my wish list for CHA, and those Jillibean monsters are super cute!! Love you card! The CUTEST thing I saw this week was my best friends one-week-old baby boy! Such a cutie! My 23 year old kids are falling in love, and some of their behaviors are 'cute', posing for pics, traveling about the country to see one another, not realizing families are tracking their moves with camers,facebook and technology! love your bright card.. the cutest thing? Seeing two little birds fight at my bird feeder.. they were so fun to watch! The cutest thing I saw this week was a beagle puppy being sold in a Walmart parking lot! Yep, def fun and cute! Love those robots! Your cards are so much fun! I saw my mother's dogs "kissing" the other day! Of course, they were probably just grooming each other, but they were muzzle to muzzle! This card is totally fun AND cute! Love it! The cutest thing I saw this week was definitely when we visited friends on our road trip. I love seeing our 2 and 5 year olds give each other hugs after not seeing each other for 6 months! Very cute and fun card! The cutest thing I have seen this week is definitely my new granddaughter. The cutest thing I have seen this week is about 100 preschoolers dancing and singing at VBS. They were having so much fun. Thanks for the chance to win. Great card! I love the colors and details. The cutest thing I've seen this week were the pictures of the recent baby dedication at our church. Your card creation just had me smiling out loud! I love doing kids cards and robots are always a favorite of little guys. I have a 2 year old grandson who is ALL about robots! Thanks for sharing your "style" with all of us! The cutest thing I've seen is my 3 yr old telling me stories. They always crack me up. Love your card. My boys love their robots! I agree - fun and cute cards make me smile. You can't help but feel good. This card is too cute. It would be perfect for my little boys birthday. In a mall i saw a set of identical twin boys, one wearing a shirt that said 'Ctrl+C' and the other wearing a shirt that said "Ctrl+V"
too cute I tell you! Definitely a thumbs up fun and cute card! I got to "pet" my pregnant friend's tummy--that was fun and cute! Great card...I'm a fun and cute lover too! I made a cute bear with his paw prints on a scrapbook layout this week. Love your cute birthday card! The cutest thing I saw this week was when my husband/son picked up pizza for supper one night and my doorbell rang and my son was there with three hats on and goggles asking, "Did you order a pizza?" Very cute. . .
Great colors on your cute card! Cutest thing I've seen this week was my daughter snuggled up with her puppy. Both had fallend asleep on the couch together. Adorable! This is too cute!!! Love the little monsters! Cutest thing this week....my dogs. Especially my cocker spaniel....she is just the epitome of cute, and I think she knows it. I love your card--the robot images are irresistable! The cutest thing I have seen this week was at swim team practice watching the kids cheer on the youngest swimmers who could barely make it to the other side. My granddaughter came over and we made cards. She loves to go up to my stamping room and "create"! Love the time we spend together. I too tend towards fun & cute! Fantastic card. I love that monster & robot! Too adorable. i love this style, too! the cutest thing i saw this week...probably my daughter playing with her little toys. That always makes me happy. The robot is so cute!! The cutest thing I saw today is a family of hawks, the parents are teaching the little ones how to hunt. I was so impress that I spent like 30 minutes just contemplating them. The cutest thing I saw this week has to be a little girl with her mom. I was at work and heard a little girl scream with joy. I looked over and her mom was handing her a beautiful balloon. It has bright colored circles all over it. The girl was probably about 3 years old and she was so thrilled with it that her whole body was moving and she was giggling. I just thought it was so wonderful. She was lit up with joy and so was her mother. It made my day! Alyssa B's comment on this post about the twin boys wearing the Ctrl-C and Ctrl-V t-shirts is the cutest thing I've seen all week! It appeals to my nerdy side. If I had twins I would totally buy those t-shirts! Great card. Love those robots. this blog: http://mymilktoof.blogspot.com/ is one of the cutest things I've seen this *year*! your robots are so fun!! This is SO adorable! Love the fun! The cutest thing I've seen this week... hmmm... my boys sliding down the waterslide at the local pool... pure fun! The cutest thing I have seen this week is my bosses 3 month old baby boy--smiling away. The cutest thing this week was seeing a hummingbird flying over flowers on my patio! They are so QUICK! And your card is cute! Such an adorable card! Love the white and green thread on the card. This card is the cutest thing this week. Nicely done! The cutest thing I saw was Sunday, a little girl's dress that was white with brown pattern and a splash of pink ribbon at the waist and little jacket. I used this as inspiration for a card on my blog. What a great card for a child's birthday, definetly fun and cute. Cute card! Dang--I just realized I forgot to tell you something cute--I'd say some of the collections Cosmo Cricket is introducing--Togetherness. Sorry I don't have any young kids and I've been in the house most of the week! What a super cute card. This is also my favorite style, although this week I have been dabbling in other styles too. I just love htis card. I would have to say the cutest thing this week has been my 7 year old neice. She is so fun and cute... and also hilarious. Thanks for sharing. Have a great weekend. Very cute! My fave style as well! The cutest thing I've seen this week is my youngest son (16 months) saying banana in that adorable little baby talk. But, your card is right up there, too! What an awesome little boy card---love the colors. I love your work! Everything is very colorful! The cutest thing I've seen this week is a picture of my little nephew! Well that's not hard - I'm staring at it now! I'm thinking my son would have LOVED this card when he was a kid. Maybe even still, at 19. Really an adorable card - the graphics, the colors, the layout. Thanks for the inspiration. Your card is the cutest thing I've seen this week. My nephew was born this week and he is by FAR the cutest thing I've seen this week!! Oh this card is just adorable! The cutest thing I've seen this week is how my boys' faces light up when they see grandma and grandpa! That card is one of the cutest things I've seen this week! I have also enjoyed looking at the cards for kids that Jennifer McGuire linked to -- lots of seriously cute stuff out there! Fun!! I love this little card. It's just so perfectly bright and smileworthy! great colors and fun design!! CUTE!!!! love the graphic fun design!! What a fun card! The cutest thing I've seen this week would have to be my two girls sitting at the edge of the pool kicking the water and laughing together! looking at my new 16-year old and still seeing his round baby face under the facial hair! Cutest thing I've seen this week....a litter of six week old puppies!! This is so cute! The cutest thing for me this week is that my son started saying "Oh. MY! Goodness!" It's rather adorable in his 3 year old voice. Hi, Beautiful card! The cutest thing I have seen this week is my neice, a senior is high school laying on the floor playing with three of my cats! I have seen a lot of cute cards on the Fun and Cute challenge at Moxie Fab World Blog, but I can not put a name to just one! Thanks for sharing! I am so ifatuated by robots right now, thanks for the great card! Oh-so-cute, and little boy would love it! The cutest thing I saw this week is my friend's sweet little puppy!! I love your cards! Fabulous card. Love those colors! I, too, made a child's card this week. It certainly fits for the cutest thing I made this week. How simply fun this is!! The cutest thing I saw this week was some little flower buttons. The cutest thing I've seen this week is the new cricut cartridge Simply Charmed. The cutest thing I've seen this week is the smile on my hubby's face when he told me he was going to take the day off work to spend my birthday with me (today!). Adorable card! Hands down...the cutest thing...our Great Dane (2 year old) Saffy...was caught eating blackberries off the bush, while we were out for a walk! Only bummer...no camera :( Bad mommy! She was adorable! Thanks for the inspiration this week! My children attended a very large Vacation Bible School event this week and it was adorable to watch my children dance and sing to the new songs they learned! Such a cute card. The cutest thing I saw this week was a little girl (age 3 or 4) dancing in the toy store. The cutest thing I've seen has got to be your Robot Card - adorable! Or my little Yorkie Poo doing her fighting dance. The cutest thing I've seen this week was a smiling cat on icanhascheezburger.com. I love that site! Cutest thing besides this card??? Well, I will have to say my little boy giving his daddy a big wet kiss! Your card is just TOO CUTE! Love it! The cutest thing I've seen this week has to be my kitten Tuck. He's 7 1/2 months old and gets in these moods where he flies around the house like someone is chasing him, but no one is. He just winds himself up and his eyes get really huge. I think "What does he see that I don't?" I guess he just has fun entertaining himself. Love it! Cutest thing this week: at my daughter's softball game, her friend's little 4yo brother was "keeping score" on his own piece of paper. Misspellings and backwards numbers and all. Too cute! Love your card! The cutest card I have seen this week was when my two dogs came home from the doggy beautyshop! Cute!!!!! My 5yo daughter is a constant source of cuteness! Luv the colors of your cute card. The cutest thing I've seen or done was make a b-day card for my daughter's friend. It was orange and pink with cupcakes and a little bling. Great color and style on this card! Love it! Cutest thing this week? Three little guys out to dinner with their parents - all wearing bright yellow t-shirts. They were darling, made me wish my own were that age again! Love your card! Cutest thing... We saw Toy Story 3 - it was awesome! I love those robots! Fabulous card! The cutest thing I've seen this week was a card Kim Hughes showed on Tuesday? where she made a happy little sun out of buttons and ribbon! I loved it! The cutest thing I saw this week was when my 21 month old granddaughter visited yesterday and I caught her drinking out of my decorative fountain...then she just looked up at me with her beautiful blue eyes and said "Yummy!" The cutest thing I've seen this week is probably my cute son! Love your card. Cute card!! I love robots! The cutest thing I've seen this week is my little (as in, seriously little - hasn't hit a growth spurt yet) son in his BIG tough-guy football uniform tackling kids a head & shoulder taller than him. What me lacks in height he makes up for in tenacity apparently. The cutest thing this week was probably when my newly two year old son asked my husband to kiss me on the head and then said,"Thanks for obeying Daddy" very cute! Love your card! It is so AWESOME to see a card boys would like. Thank you! Cutest thing I've seen all week is when my boys dressed up our dog. It was adorable and hilarious as he's an 85 pound boxer/rottie lab mix. Love your card and your style. The cutest thing I have seen this week was my grandchildren when I took them to see 3D Despicable Me movie. So stinkin' cute! Love robots, and those bright colors are yummolicious! The cutest thing I saw this week was my adorable two month old grandson - nobody is cuter than him! LOL But your project comes a close second, that's for sure! Thanks for sharing! cute card. i love the fun loving layout on this card. the cutest card i ever made was this fish sending hearts & flowers card here and inside of the card. Cute card! Perfect for a little boy. The cutest thing I saw this week has to be my daughter enjoying spending time with her favorite cousin, who is a boy. They are so cute together. Cutest this week? YOUR card!!! ADORABLE!!! Cutest thing I saw this week, wasn't paper related. I'm on vaca with my family and my youngest daughter has a thing about running around naked. Imagine the looks we get with a naked baby streaking the hotel. Fun card. I'd love to work more "cuteness" into my cards. The cutest thing I've seen this week is my youngest daughter singing a song she made up. The cutest thing I've seen this week is a baby bunny. The cutest thing I have seen all week is all 3 of kids playing together! Aw, definitely a fun card. The cutest thing I've heard this week is my one-year-old talking to himself in his crib at night. I'd have to say the cutest thing I have seen this week was the sheltie and basset hound mix puppy I saw at the dog park yesterday. Totally one of this so ugly it is CUTE puppies. I would say the New little baby girl born to a couple in our church yesterday. She is so cute!!!. The cutest thing I've seen this week is your card. Well besides that, the pics of my friend's little boy were quite cute. No wait, the cutest thing was the photo of a kitten I saw on someone's blog. Such a cute card! My grandson would love this! Cute card. Love the bright colors. The cutest thing I have seen this week would be my friend's new puppy. Nothing cuter than a new little puppy! Apart from the cute card you have made...Would be the call I got from my husband who I haven't seen for a week - saying he was home and making me dinner ahhh! Very cute.....My favorite is fun and cute. The cutest thing I've seen this week is a picture of one little black and white paw belonging to an unknown cat. Reminds me of my kitty so much. Cutest thing I've seen this week is my four year old at swimming lessons - he gets embarrassed every day because he is the only boy in the class. Love your cute card! My son was super cute playing in the sprinkler yesterday! The cutest thing I've seen this week is my ADORABLE 2 1/2 year old grandson acting like he's more like 10 than 2. Everyday a new surprise with him! I think the cutest thing I saw this week was my son entering his first card competition- his little eye lit right up and he keeps asking if anyone has left a comment on my blog. Precious. i really love the palette of brights you used! I just bought the cutest little cupcake keychain on sale at Borders--it has a smiley face and everything! ps your card is darn cute! Cutest thing? Easy! The two year old down the street telling him mom he wasn't ready to leave my house...and her pointed at her and said "sit momma, don't go!" Not sassy, just matter of fact. LOVE kids...and love YOUR work! TFS! Your card really is fun and cute. Looks like it's right out of Hallmark. Beautiful colors too. So the cutest thing I'v seen this week is my little dachsund chasing after birds in the yard, but I'm guessing you mean paper related, so I would have to say the robot stamps I bought. I can't wait to make my nephew's birthday card! Your robots make my list along with a vintage red bathing suit on someone else's card. We had a junvenile brown bear checking out our bird feeder tray in broad daylight one day this week. He was sorta cute as he headed into the woods after we interrupted his feeding. The cutest thing I have seen this week (at my family reunion) is my kids being lead around by their older cousins...LOVE IT! The custedst hing this week was talking to the cows so they'd let me across the field - don't ask!! I so wish I could do Fun & Cute, but I don't think I have a fun or cute bone in my body! I think the last time I was cute or fun was when I wore my daughter's sun hat at the beach because my cheeks were getting burnt and my girls couldn't stop laughing at me! My style gravitate towards Shabby & Vintage. Love this card. My nephews would love it. My style is either cute and fun or elegant depending on the person I make it for. They (nephews) are the cutest thing by far. This is one of my favorite cards I have seen this week! What a fun card! I love the dimension! Cute card! The cutest thing I saw this week was a bright green frog in a garden. I think fun and cute is probably what I do most! Adorable card! The cutest thing I've seen this week is a pile of my kitties sleeping together. Awesome card, definitely Fun and Cute!! The cutest thing I've seen this week besides that card has to be my little chihuahua, Gracie. She cracks me up!! Cute card! There are SO many cute cards out there - it's too hard to choose. I did make a cute card for my daughter's friend who is celebrating a birthday. I even created it all on my own and it turned out ok. Who knew? Great card! So fun. Love the bright color combination you used. I honestly have to say the cutest thing I've seen this week is your card. That is totally my style! I keep thinking about getting the robot cricut cart and this might have pushed me over the edge to go for it. Such fun bright colors and cutie monstors. Love this fun card... I think this is the cutest thing Ive seen so far this week! Your card is perfect for a little boy! The cutest thing I saw this wwek was some photosnof my friends English Bulldog pups and the cutest thing I did this week was make a Fun & Cute card for the Moxie Fab Challenge. Great card by the way! I love your style, your card is Fab! The cutest thing I saw this week was a picture of my Dentist's little kids- all curls and smiles!! So much fun! This is perfect for my son! TFS! That is the cutest card for a little one. Love the bright colors. Love your robot/monster card :) I have a set on my wishlist! Great card! The new Cosmo Cricket papers are pretty cute! Lots of baby animals around this time of year, too, and they are always cute!! Your card is great. My cute thing for this week was playing "runway model" with my 5 year old granddaughter. She was the model and I was the announcer. She has the walk and moves down pat. And the attitude. This girl watches too much TV. The cutest thing I saw this week was my 4 yr old son talking to my belly asking the baby "when will he be coming out"!! My boys being cute. NO specifics, just all the time. Love your card! The cutest thing I've seen this week was my four grandsons playing in the pool. Ages 1 yr to 7 yrs. Great 'boy' card. Cutest thing all week - my great niece and nephew. My niece was on a trike and her cousin was "helping" her ride. She is 1 and he is 3. Well the cutest thing I've seen all week is this card! good grief...that card you made has to be the most adorable thing I have seen this week. You hit vibrant and knock your socks off fun in one fell swoop! awesome! The cutest thing I've seen this week is my friend's newborn baby girl! So adorable. Cutest thing I saw this week was a tiny baby gold dust gecko all shiny and green with specks on its little back. That card is cute and fun!!! I have been creating layered "flowers" from assorted papers and shapes this week and having so much fun. I really love putting colors and patterns together...if I could get by without sleep, I would be up at 3 a.m. working on this project!